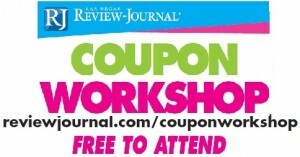 Come out to the free Vegas extreme coupon class. Learn to lower your grocery by 50% using some super simple couponing techniques. In just 90 minutes you will know all the in’s and out’s of how to save like I did on my shopping trip on TLC’s Extreme Couponing!